Lent Trivia helps to strengthen and maintain skills for speaking, listening, reminiscing, critical thinking, communication, storytelling, and imagination. There are 4 ways to play: Use the cards with just the trivia question; Use the cards with the trivia question and two multiple choice answers; Print the trivia list with just the trivia questions; Print the trivia list with the trivia question and two multiple choice answers. There is a way to play for all cognitive levels. Each card contains large print so that the words are easy to read. Just print on card stock, laminate, and cut to start the fun. You may use a tablet or computer, if printing is not an option to display each card or list. To play with the cards: Mix the cards up and have participants give the correct answer for each question.. Store the cards in an index box or hole punch one side and keep on a binder ring. To play with the trivia list, print and pass out or keep in a common area. Each list has 12 questions on each page and plenty of space for answers. You can choose to print one side or both. Extend this activity by using the activity extension cards included. Bulletin Board - Post 1 card on your bulletin board and take a poll of each persons answer. 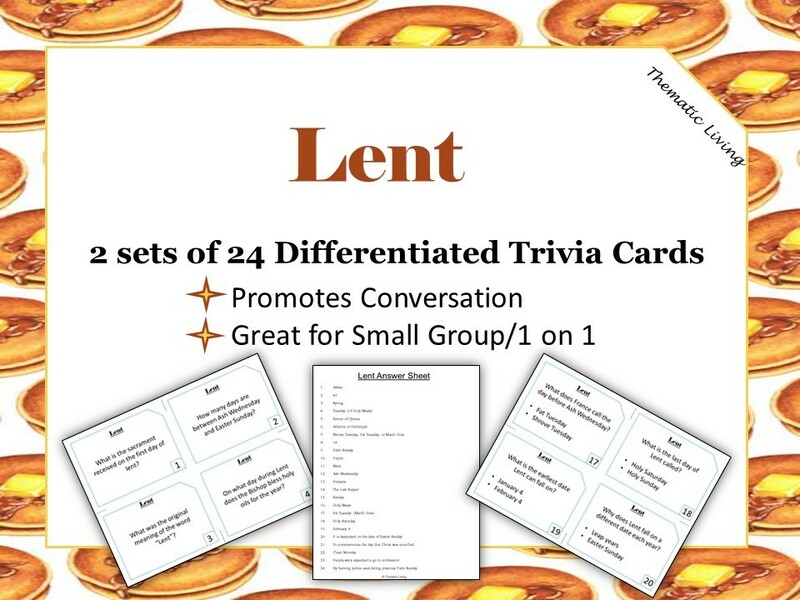 Discussion Topic - Choose 1-2 trivia cards and discuss the topic on each card in a large or small group setting. Spread the word about it and earn 65.00% of the purchase price on sales you refer.